Max Harris was the name of the compulsively provocative publisher who founded the journal Angry Penguins to bring modernism and surrealism to the antipodes during World War Two. Harris put Sidney Nolan on the cover of Angry Penguins, and poems by Dylan Thomas and a very young Kendrick Smithyman inside, but he is remembered today for publishing the cryptic verses of Ern Malley, a poet maudit who never existed. Malley was the invention of two conservative enemies of modern art and literature, James McAuley and Harold Stewart, who had decided to parody the sort of stuff that appeared in Angry Penguins. They sent Harris a cache of their poems and a biographical note about Malley, who had supposedly died young and unpublished in working class Melbourne. Harris took the bait and dedicated the next issue of his journal to the tragic prodigy. When Stewart and McAuley revealed their hoax Harris was mocked on the front pages of Australia's newspapers, but he was unbowed, insisting that the Malley poems were masterpieces, even if they had been knocked together as a joke by a couple of mates over a few beers. Today most critics and literary historians agree with Max Harris, and the poems of Ern Malley have a place in many anthologies of Australian literature. 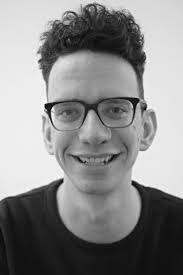 Max Harris is also the name of a young New Zealand intellectual who has won a Rhodes Scholarship and a fellowship at the lonely Oxford college known as All Souls, and who is tonight launching a book with the ambitious title The New Zealand Project. In an excerpt from his book published in The Listener, Harris insisted on the intellectual potential of young New Zealanders, and quoted my argument that, despite what Roger Horrocks says, this country has not, historically, been an anti-intellectual wasteland. I could use the publication of The New Zealand Project as an opportunity to talk about New Zealand history and intellectual movements and other highfalutin' matters, but what really intrigued me, when I saw the promotional material for the book, was the similarity between the hairstyles of the Aussie Max Harris of the '40s and the Kiwi Max Harris of today. Aussie Max's levitating hair was, like his flamboyantly bohemian wardrobe, a challenge to the conservatism of 1940s Australia. And the challenge was taken up: on one occasion the young publisher was thrown into a lake by a group of student 'hearties' appalled by his appearance. Michael Heyward includes a photograph of the dunking in his marvellous book The Ern Malley Affair. 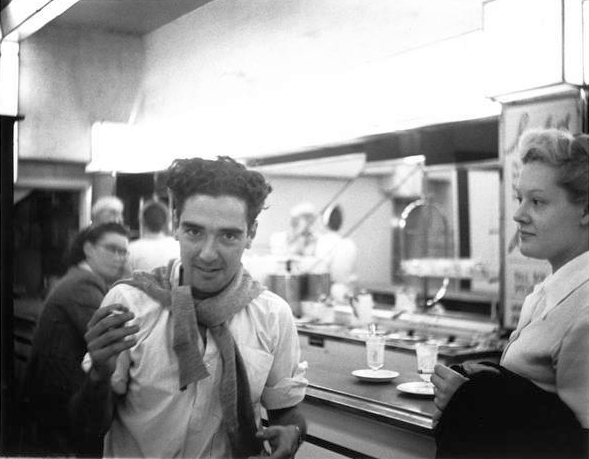 Is Kiwi Max's hairdo a homage to the prophet of Australian modernism? A nice piece about an Australian literary cause celebre which will not die. But NB the author of "The Ern Malley Affair" is not Max Hayward but Michael Heyward. Ach! Thanks for the correction Tony. I've read the book about three times: very entertaining. Yes. You got me onto this affair and the book. I actually like one poem by McAuley that reminded me of my own childhood...but as you yourself pointed out Ashbery used an Ern Malley poem as a kind of talking point for his Locus Solus group or whatever it was. The Harris's are of similar appearance and hairstyles. The way the composed their poems is, in a way, the way an original, innovative mind quite often works: using associations, quotes and so on and when relaxed, not thinking too hard about what to write or how. This is why what they produced is the best either of them ever produced and the joke is that one could call Ern Malley "Australia's greatest poet." This might be a bit unfair except as a joke, but it holds some truth. I think that NZ's intellectual world really started to kick off after the 1930s...there was a dribble before that but it was rather derivative stuff surely? In any case is it a big issue?